Idiopathic intracranial hypertension (IIH), also known as pseudotumor cerebri, is a disorder of elevated intracranial pressure of unknown cause. 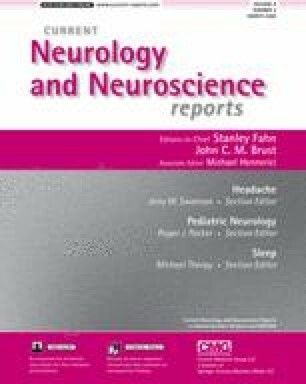 Patients present with daily headache, pulse-synchronous tinnitus, transient visual obscurations, papilledema with its associated visual loss, and diplopia from sixth nerve paresis. Many disease associations have been alleged, but few besides obesity, hypervitaminosis A and related compounds, steroid withdrawal, and female gender have been proven. Although absorption of cerebrospinal fluid (CSF) occurs through arachnoid granulations and extracranial lymphatics, outflow resistance is increased in IIH; therefore, intracranial pressure must increase for CSF to be absorbed. The mainstays of medical treatment are a reduced-sodium weight-reduction program and acetazolamide. If patients fail medical therapy, surgical procedures, most commonly optic nerve sheath fenestration and CSF shunting, are employed. The main morbidity of IIH is visual loss. This is present in most patients and can usually be reversed if recognized early in the course of the disease and treated. Idiopathic intracranial hypertension (IIH), also known as pseudotumor cerebri, is a disorder of elevated intracranial pressure of unknown cause. Patients present with daily headache, pulse-synchronous tinnitus, transient visual obscurations, papilledema with its associated visual loss, and diplopia from sixth nerve paresis. Many disease associations have been alleged, but few besides obesity, hypervitaminosis A and related compounds, steroid withdrawal, and female gender have been proven. Although absorption of cerebrospinal fluid (CSF) occurs through arachnoid granulations and extracranial lymphatics, outflow resistance is increased in IIH; therefore, intracranial pressure must increase for CSF to be absorbed. The mainstays of medical treatment are a reduced-sodium weight-reduction program and acetazolamide. If patients fail medical therapy, surgical procedures, most commonly optic nerve sheath fenestration and CSF shunting, are employed. The main morbidity of IIH is visual loss. This is present in most patients and can usually be reversed if recognized early in the course of the disease and treated.